How To Make A Commercial, Part 2: "Charmer" - Bracelet With Sheep Charms. 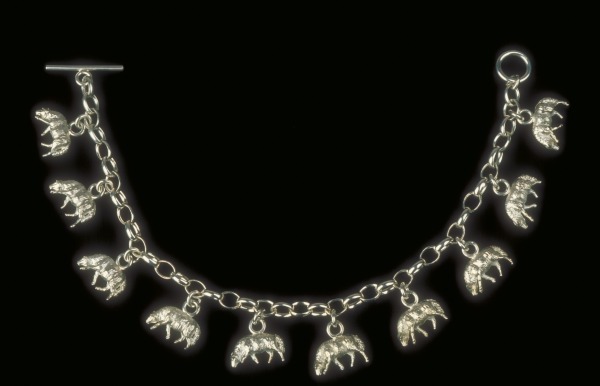 Bracelet formed of linked silver rings with ten silver sheep-shaped 'charms' attached. Silver (cast) and manufactured chain. Casting and soldering. All objects cover theme of humour, language and analogy. Series developed as an attempt to examine the process of commercialising an object, whilst retaining its initial concept.